Designed with great value in mind, Nintendo 2DS is a perfect entry level console that plays all your favourite Nintendo 3DS games in 2D! 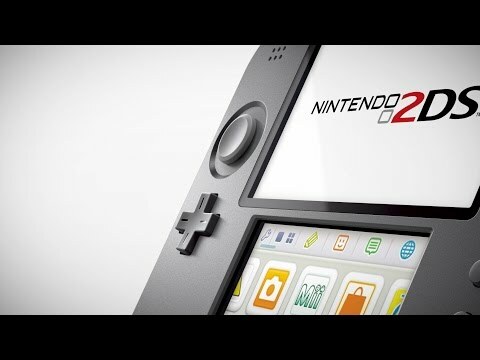 With Nintendo 2DS, enjoy amazing games, applications and features that allow you to connect with friends and the global Nintendo community with sharing options. Featuring a spacious 4.88 inch screen and built-in amiibo functionality, the New Nintendo 2DS XL can play the entire library of Nintendo 3DS games in 2D. With an ergonomic, folding design, fast processing power and a C Stick for enhanced controls, it's a new kind of Nintendo 2DS. Explore a vast variety of Nintendo 3DS & 2DS Games and discover new games you can play on-the-go with your favourite franchises like Mario, Pokémon & Zelda. 0.79" x 5.66" x 5.00" 0.79" x 6.3" x 6.4" 0.79" x 6.3" x 6.78"